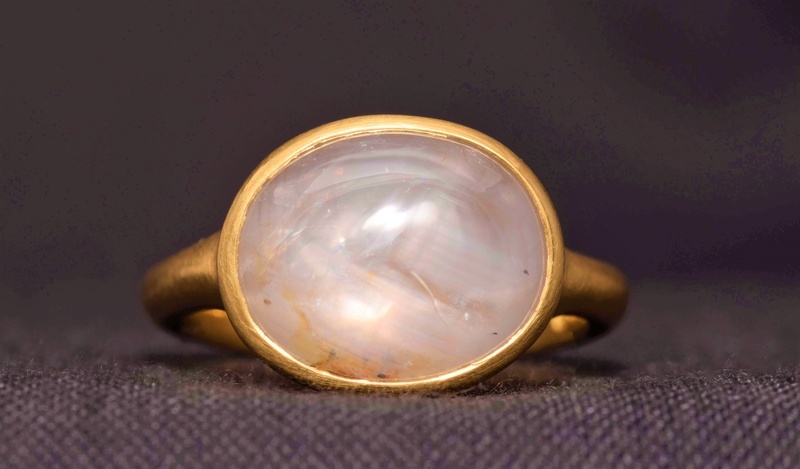 Late last year Ortwin made this bold white Star Sapphire and 18ct Yellow Gold ring. The ring is strong and large, all whilst being wearable. And the centrepiece stone is an impressive 10.3ct Sapphire from Sri Lanka. 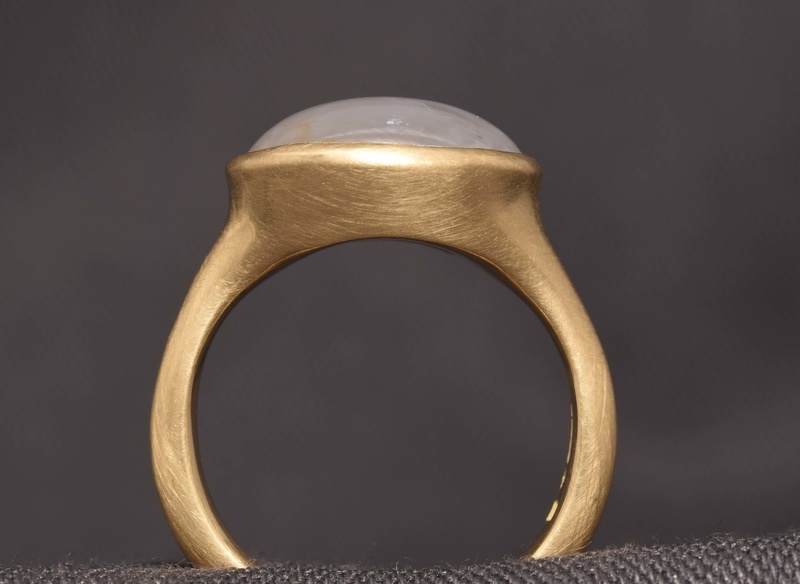 Though the design is simple, the ring has character and has come together in a unique way. Besides the boldness of the ring, there is another factor which makes it not only beautiful, but different as well. The ring is made of Fairtrade Gold. This and Wash Gold are alternative precious metals which we are able to offer our customers here at Ortwin Thyssen Master Jewellery Makers. We make many different kinds of pieces. However, many people come to us for sentimental jewellery such as Engagement and wedding rings. For such important pieces, we like to offer our customers the option to have a ring made with ethical background or provenance, which Fairtrade Gold and Washgold represent.